Find out more about the Sophomore Rome Program! Parents please read a welcome letter from the VP, Dean and Director of the Rome Campus, Dr. Peter Hatlie. We encourage you to explore the rest of the Rome website to learn more about academic, spiritual, and student life on the Rome campus. The application process begins in January every academic year. To review what is needed to apply for Rome please visit our application process page. Please note it is a requirement that every student applying for Rome has a passport in hand by the application deadline. If your student does not have a passport they should apply during Winter Break to avoid being waitlisted for Rome. Students who are unsure about participating in the Rome Program, whether for financial, personal, or other reasons, may schedule an appointment with Mrs. Davies to discuss the decision and/or the options available. Any student who is considering attending should apply, since those who defer their application will definitely be placed on a waitlist. As course offerings in Rome are limited, it is important to organize one’s degree plan carefully if one intends to postpone the Rome semester. 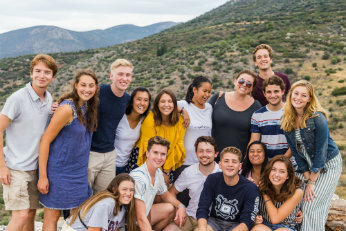 The admissions process for Rome involves careful consideration of a student’s academic progress, maturity, and overall fitness for the rigors of study abroad. We look at overall GPA and especially the GPA the semester before Rome. Students must demonstrate their ability to carry five core courses heavily weighted in reading, while participating in mandatory and voluntary travel. Disciplinary records are also evaluated. It is the student’s responsibility to accurately inform the Rome Office of any judicial or disciplinary procedures in which he or she has been involved in the past, or in which he or she may have become involved at any time during the Rome orientation process. Students may be placed on the waitlist for a variety of reasons, including a late or incomplete application (including failure to submit a photocopy of a passport valid at least until November 2020); academic or disciplinary considerations; failure to attend required meetings or deadlines; or lack of space for all applicants to a given semester. To remain in consideration, all waitlisted students are expected to attend all meetings and to meet all deadlines. Traditionally, the waitlist is re-evaluated after final grades are reported in May. Students will receive an update of their status in June if they are on the waitlist. The spring list will also be re-evaluated in October after midterm grades are posted and if necessary in January once final grades are posted for the semester. Students in that situation (whose transcripts do not demonstrate the requisite GPA and are hoping to bring their GPA up the semester before they hope to go to Rome) might want to consider postponing their Rome participation until junior or senior year to avoid the last minute uncertainty and possible loss of certain deposits. The semester prior to Rome participation there will be a series of mandatory orientation meetings for students. In order for parents to continue to be involved in the preparation and planning for Rome, our office will post information provided to students at our meetings on our orientation page. Please note that meeting deadlines and application requirements are the responsibility of the student. Parents will not receive updates on individual students’ application status. Students with questions about their application status should schedule a meeting with Mrs. Davies. 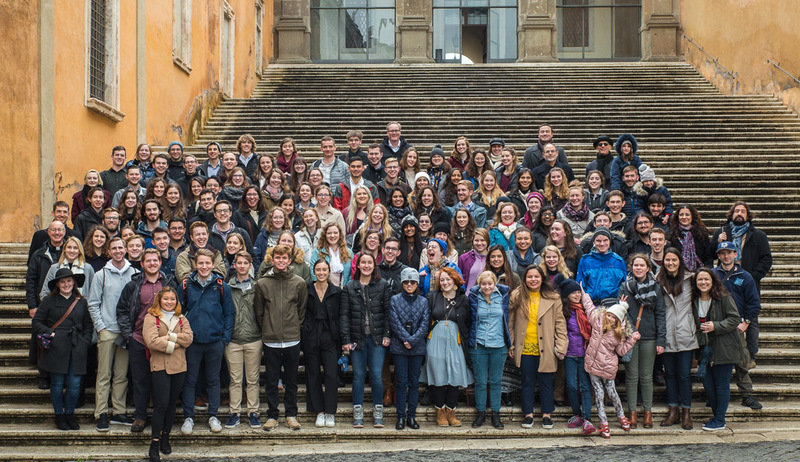 It is important to evaluate whether a student’s health concerns can be adequately met during the rigorous study and travel schedule in Rome. Students are required to provide full health information and to update the Rome office of any changes in health status up to and through departure. Please bear in mind the following: students with a variety of medical and emotional conditions can and do go to Rome. Clearance is not based on an absence of a condition, but on evidence that the condition has been stable for at least 4 months and will not interfere with the student’s successful completion of the physically, academically, socially and emotionally strenuous semester. Full and accurate health information is vital to our being able to meet students’ health needs abroad. Conditions of living, travel and health care differ from those in America. 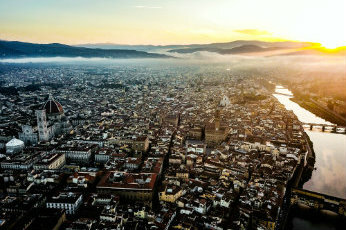 Furthermore, many prescription drugs are not available in Italy and medications cannot be imported. Medical clearance is based on documentation that the student has obtained sufficient medication for the entire semester, and a physician’s verification that the student’s requisite treatments and accommodations have been stable for four months and will continue to be stable without adjustment for five months under the conditions abroad. A letter on physician’s letterhead stating that the medicine is for personal use, translated into Italian, is required for Italian customs. If your child is on a medication for a chronic condition, now is the time to contact the physician and insurance company to find out the procedure to insure that you will be able to obtain that four months supply. Any student with a history of asthma requiring an inhaler will be required to bring an inhaler to Rome. If a student does require medical attention overseas it will be necessary to pay out-of-pocket and seek reimbursement from your insurance company. Make an appointment with a physician four to six weeks prior to departure to verify that all immunizations are in order. A list of required immunizations for Italy can be found at the Centers for Disease Control website wwwnc.cdc.gov/travel/destinations/italy.htm. The Rome semester costs approximately $6,775 more than a semester on the Irving campus. For a further breakdown of Irving and Rome tuition costs please visit udallas.edu/rome/sophomoreromeprogram/costsandfees. Tuition, Room and Board: Tuition is the same for Rome as for Irving. Rome room and board is slightly more than standard Irving Room and Board. Commuters in Irving will have to factor in the additional cost of room and board when calculating their Rome costs. The Alumni Relations/Advancement Office and Student Foundations offer several scholarship opportunities for Rome students. In addition there may be outside scholarship opportunities for students who meet certain criteria. Students interested in going to Rome in 2019-20 are encouraged to apply for these scholarships. Applications for both fall 2019 and spring 2020 UD-sponsored scholarships are due March 25. These scholarship applications are reviewed by the relevant scholarship officials and the Office of Financial Aid and are awarded based on varying criteria of merit and need. Some scholarships require a faculty recommendation which is also due March 25. Outside scholarship deadlines and criteria vary. Please visit udallas.edu/rome/sophomoreromeprogram/costsandfees for more detailed information on each scholarship. There is a wealth of information on our website about everything from cell phones, to shipping, to accommodations, to what to pack and where to travel. Final Packet documents that will address most of your questions regarding preparation for Rome as well as a semester calendar and helpful information from past Romers on planning for travel to Italy and around Europe can be found on the Rome Pre-Departure Steps page.